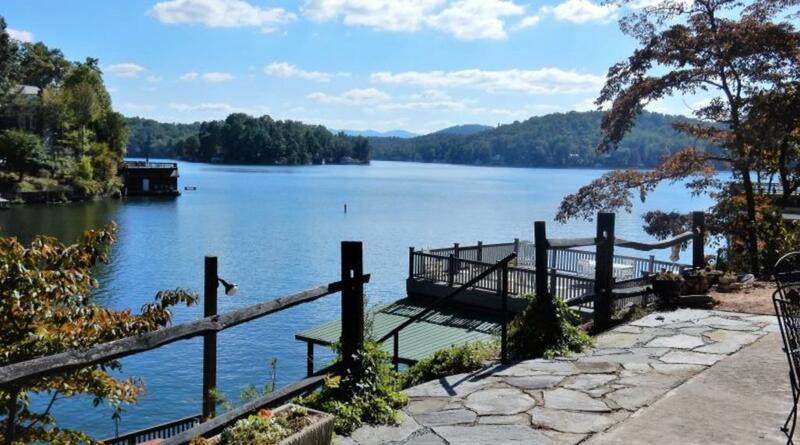 "Casa Carroll" is a cozy single-level Lake Lure lakefront cottage with well-appointed interior. It is ideal for a romantic getaway or just a quiet, peaceful escape (sorry, no four-legged guests). 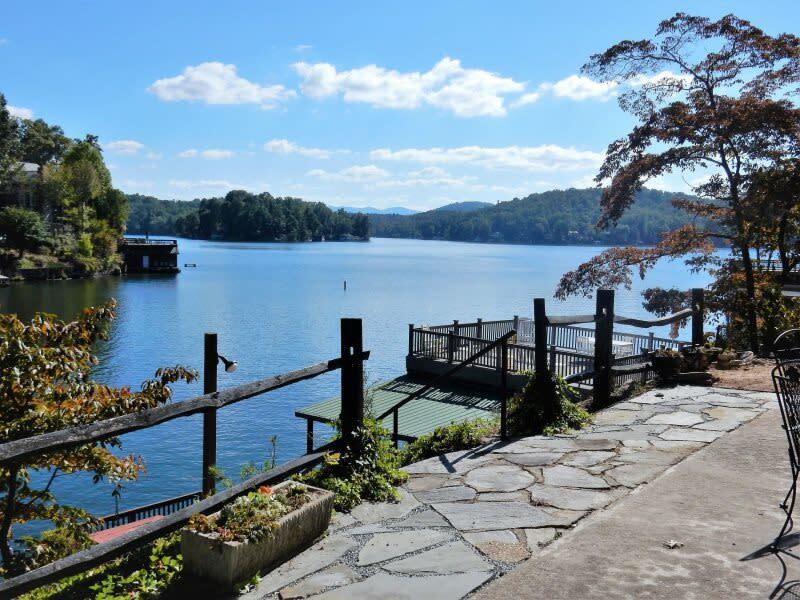 This home is 6.8 miles to the Beach at Lake Lure and 8.1 miles to Chimney Rock State Park. Upon entering there is a wonderful sunroom and then you walk through the door to a nice open living space, comfortable sofa that is also a sleeper, small tidy kitchen with island and large glass doors allowing the incredible lake and mountain views to jump right into the cottage. Wi-Fi Internet is available as well as Direct TV. The king size bed in the bedroom makes for a relaxing retreat after a day at the lake or fun area activities,and there is a full bathroom accessible from the bedroom and the living area. If you want to bring additional guests, the sofa converts to a queen size bed.